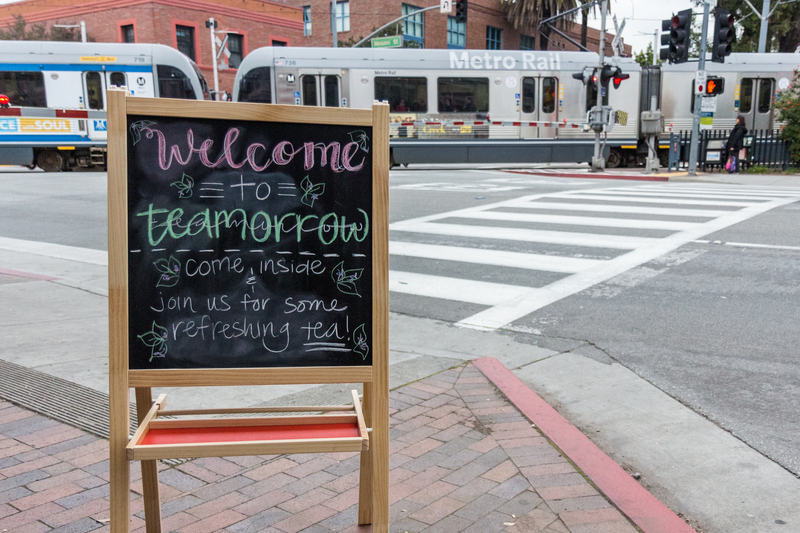 Teamorrow opened its doors on Monday, March 19. 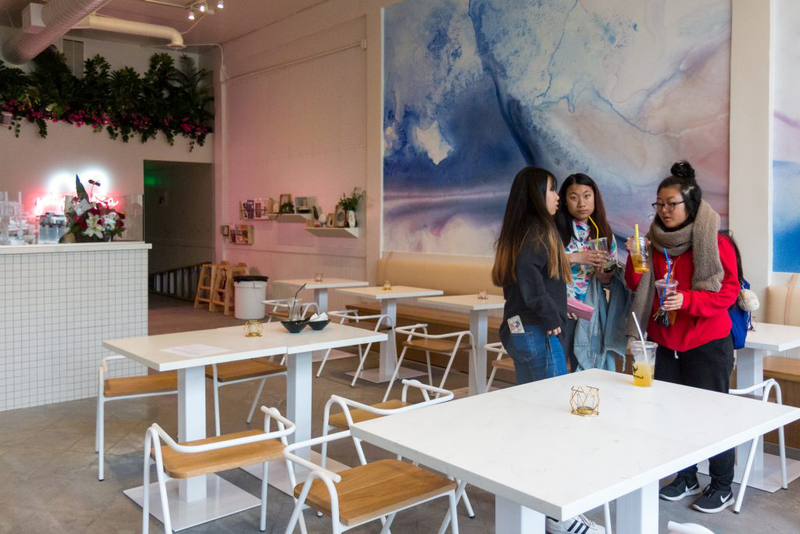 With a sleek interior and appealing boba tea drinks, the tea house is appealing especially to a high school crowd. The opening follows another recent opening of Simplee Boba, just across the street. After months of anticipation, boba store Teamorrow opened its doors this Monday, March 19. With a pink and blue neon sign that reads “you+me+tea,” it is clear that the specialty cafe was ready for the onslaught of thirsty teens. 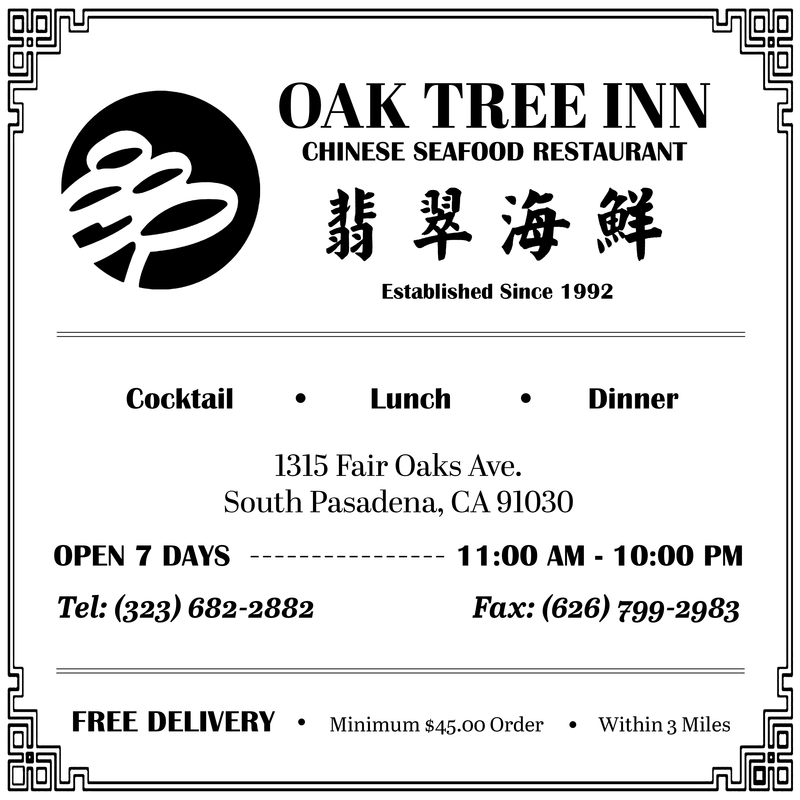 The contemporary art that decorates the walls, along with the quirky nomenclature for menu items like “Mustache Tea”, separates Teamorrow from the traditional brick and mortar stores that define quintessential South Pas life. Teamorrow is the latest spot in South Pasadena to offer boba drinks: Taiwanese originating sweet drinks containing chewy tapioca balls, sitting at the bottom of the cup ready to be transported through the iconic thick straw. It seems as though the advent of Teamorrow is symptomatic of not only the trendiness of boba and milk tea, but a signal that South Pas’ ongoing demographic shift is affecting more than our school districts. South Pas could, after all, use a little more San Gabriel Valley culture. 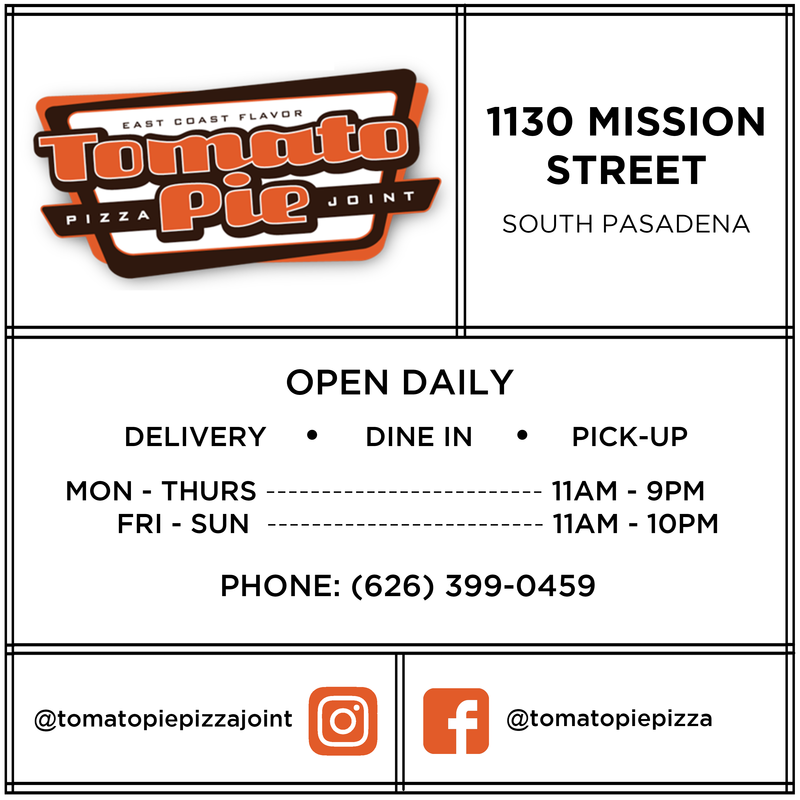 Teamorrow, located on the corner of Meridian and Mission Street, is the latest addition to South Pasadena establishments looking to cater to a younger demographic. Now, boba-seekers no longer have to trek to San Marino or Pasadena to get their fix. Teamorrow is certainly not the place for an appointment-packed afternoon, as drinks take considerably longer to make than the typical Au-79, TenRen or Lollicup. However, for a lazy Saturday brunch, the specialty tea house’s menu is perfect. A quiet interior and ample seating make Teamorrow a great place to do some last minute tweaking on an essay. Their drinks, and optional additions, are extremely customizable with baristas asking preferred ice amount and sweetness. They serve classic Taiwanese flavors like the industry standard black milk tea ($3.75), but also offers more eclectic beverages like assam milk tea with tiramisu ($4.49). The coffee milk tea ($4.49) with boba (+$0.50) will cost more than a cup of coffee at neighborhood café Kaldi ($2.10), but its cold brew origins and full-bodied flavor make the price tag reasonable. 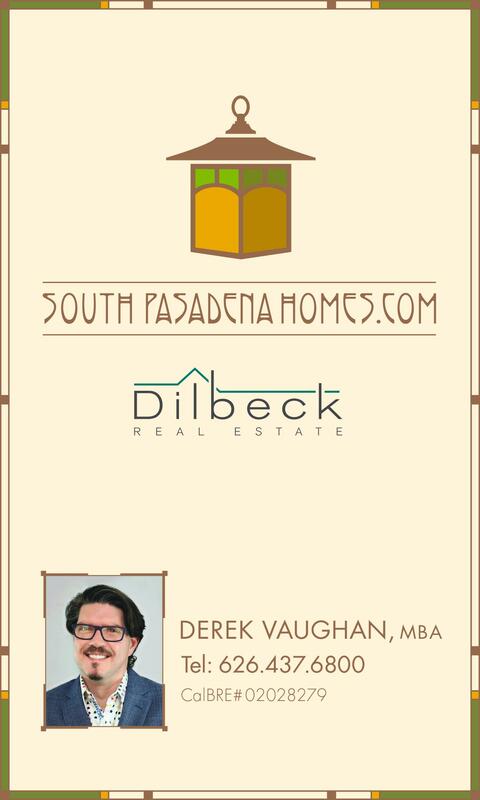 “With any new business there are bound to be a few kinks, but for the most part I would say it was successful. There was an overwhelming amount of people who came in, which was very heartwarming,” Teamorrow cashier and South Pasadena High School senior Lily Turner-Kipke said. Controversy has swarmed around a perceived battle between boba shops since Mission Street dwellers spotted two storefronts less than a stroll apart. In a small town like South Pasadena, the question seemed to be who would win in the tale of two boba cafés in one city: Simplee Boba or Teamorrow. “On Monday, even though Teamorrow was open, we still had the same amount of customers,” senior barista at Simplee Boba Kenny Ryu said. For now, it seems that the two boba shops will exist in harmony with each other, but only time will tell which boba spot will reign supreme.